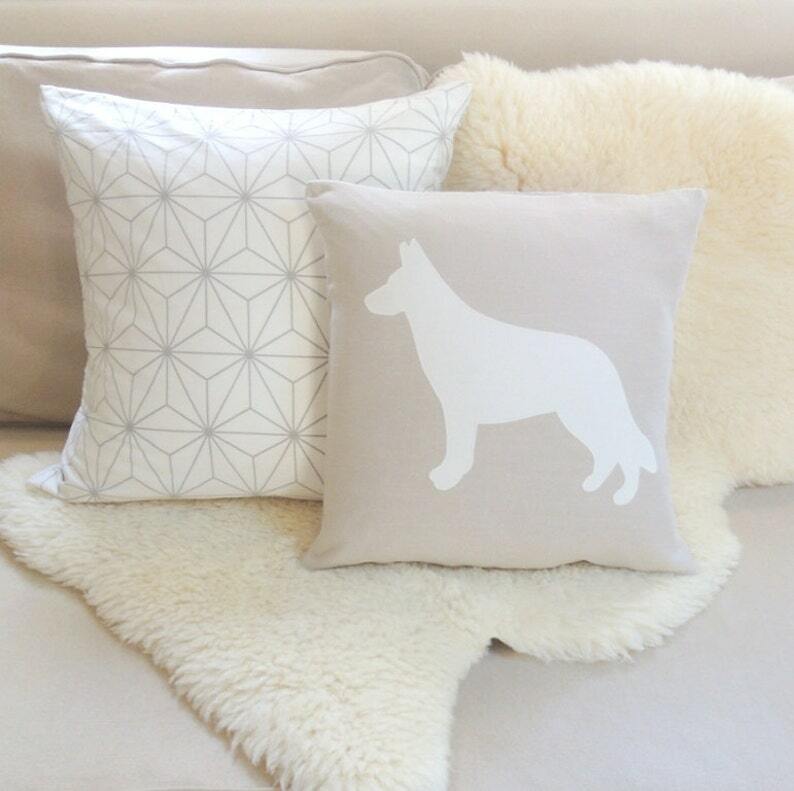 This German Shepherd pillow cover celebrates your trusty sidekick and adds a rustic modern layer to your interior space with its flax beige linen background and ivory appliquéd silhouette. You can also choose the GSD in classic black, navy blue, white or dark charcoal gray. This dapper pup is fetching on a sofa, in a chair, greeting guests on an entryway bench or anywhere else you can imagine. A facing pair makes a striking statement on a bed or sitting pretty individually in a pair of chairs. About the collection....A modern take on traditional appliqué, each pillow cover is an original design, hand-cut and sewn with meticulous attention to detail and quality; no paint, die cut machines or polyester screen prints here! Fabric: The background fabric is European linen with that fabulous rustic luxe texture. Each motif is machine finished with a coordinating zigzag stitch for a polished silhouette. Double-stitched seams are secured with a zigzag stitch for a durable, professional finish. Fully lined. French style envelope closure. Your pillow cover will arrive stuffed & ready to enjoy. 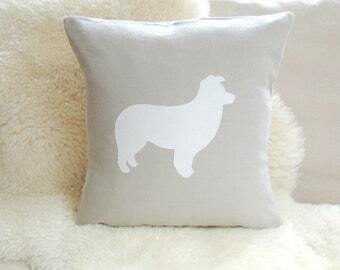 German Shepherd Pillow Cover © Vixen Goods. All rights reserved. I absolutely love this stocking. I also ordered a custom german shepherd stocking to match and it was perfect. Love, love, love. Everything was on time and very high quality. Definitely worth it. I highly recommend this shop. great customer service and excellent quality!